Geographically, Atwater is located in Merced County, California, in the large valley known as the San Joaquin. The topography, when American settlers arrived, was that of rolling plains with large rivers cutting through. This feature is what made it possible to turn the land into an agricultural paradise. Originally occupied by many clans of the Indians known as Yokuts and then by the Spanish who had large land grants, the face of the area began dramatic change after the Treaty of Guadalupe-Hidalgo in February of 1848. This treaty ended the Mexican-American War and California became a part of the United States. The discovery of gold in 1849 brought people flooding into California looking for quick riches, however it also brought men of great moral character and vision. One such man was John W. Mitchell who arrived in San Francisco, following his brother Asal, on February 22,1851. After working in this city long enough to buy equipment, John and his brother went into business cutting hay and cordwood around the Stockton area. They sold these items to the teamsters working the mines. They soon had their own wagon and tent, and plied the mines selling goods to those working in the gold fields. They set up the tent and rented out one half for $50.00 a month. Being an entrepreneur of the first order, any money John saved was used to buy land from the United States Government at the rate of $1.25 in greenbacks (paper money), or 75 cents in gold, per acre. He had a half million acres in his name even before the official survey was completed by the United States Government. Having been reared on a farm in the Woodbury area of Litchfield County, Connecticut, the land had always been his calling. He convinced other people from his home state, including the families of his three nieces, to come west and try their hand at dry land farming. He would provide those who rented from him with seed to get started, along with farm equipment, and would also build houses for them. 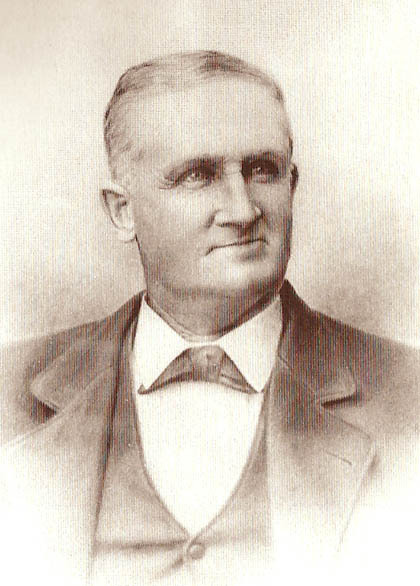 Mr. Mitchell, who bought and sold thousands of acres in the San Joaquin Valley, was the man who influenced the growth and settling of the land in the Atwater vicinity. John Mitchell died on November 26, 1893 at the age of 65. Though Mitchell had married, his wife Jane predeceased him and they had no children. The bulk of his estate was inherited by three nieces; Mrs. Henry Geer (Mary), Mrs. Stephen Crane (Emma), and Mrs. George Bloss (Ella). The three women were sisters and the children of Mitchell’s sister Mrs. Stone. 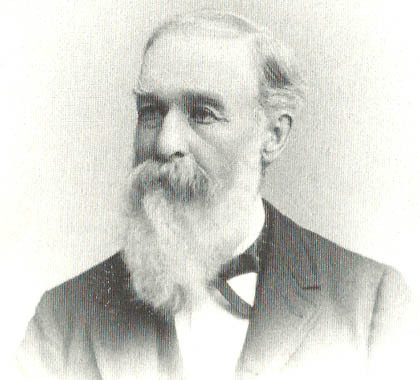 Marshall David Atwater came to California from Bethany, Connecticut as early as 1855. He spent several years working in the Mokelumne Hills area before coming to this vicinity in 1868. He was prompted to make the move by John Mitchell. As one of the first settlers, he began to farm wheat on acreage that he rented from Mitchell. Mr. Atwater also purchased 6,000 acres of his own north of Atwater “The Winn Ranch”. He became one of the largest grain growers in the area. In 1872, when the Central Pacific Railroad pushed through the Valley to Merced, Mr. Atwater and Mr. Mitchell induced the railroad to put in a spur at the warehouse where Atwater stored his grain. This became known as “Atwater Switch” and made it easier for Mr. Atwater to ship his large amounts of grain. About this time he also purchased a ranch of some 4,480 acres, which was located northwest of nearby Merced. By 1876, Mr. Atwater, his wife Laura and their daughter Eliza moved to their new home on this ranch. He became a diversified farmer growing different grains, citrus fruit, and livestock. Mr. Atwater also invented a huge grain harvester pulled by twenty-four mules. He operated this farm for over thirty years, passing away at the age of eighty in February of 1905. 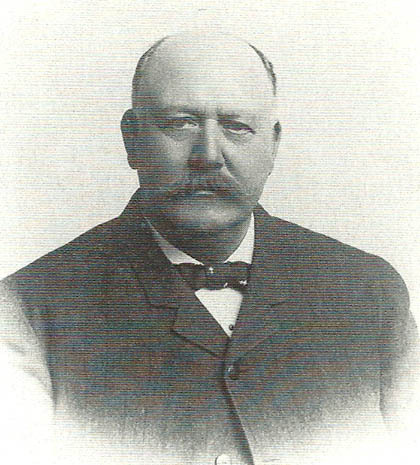 George Bloss, Sr., who settled in Atwater in 1884, administered the Mitchell Estate, his wife was one of the nieces that inherited from Mr. Mitchell. In 1887 Bloss and Henry F. Geer subdivided 480 acres into 20-acre parcels and called the area Atwater Colony. In 1888, the Merced Land & Fruit Company laid out the town and sold lots at auction. George S. Bloss and his wife, Ella Stone Bloss, approved this plan. The town was given the name of the colony. Atwater was not going to be a fast developer, by the turn of the century only one hundred people lived in the area and its weekly newspaper was started in 1911. Atwater was, however, lucky to have George Bloss, Sr. as a benefactor for the town. He had been president of Fin de Siecle Investment Company, which had been created by all three of the niece’s families to handle the Mitchell holdings. When this company was liquidated it was divided into thirds – one for the Bloss Land and Cattle Company, one to the Crane Brothers Company, and one to the Geer-Dallas Investment Company. Bloss’s third was used to benefit the town with a library, built in memory of his grandson, and a hospital in memory of his wife, Ella. George Bloss, Jr. and his wife Christine later continued these philanthropic endeavors. This book pictures the progress of one town in the valley from its inception as a grain warehouse to a thriving community. Despite its slow start, the town did indeed develop. Situated in the population belt of the valley, over half of the county’s population is now centered in the Merced-Atwater area. The Santa Fe Railroad was laid north of town and, along with Highway 99 passing through town, brought excellent transportation opportunities. The Atwater Canal brought irrigation to the area, while the advent of the Merced Army Flying Field (later Castle Air Force Base) brought people and increased commerce. From the days of the Atwater Colony, Atwater is now a fully developed community. The Atwater Historical Society wishes to pay tribute to the people whose vision was so important to the settling of this part of the San Joaquin. Without a past there would be no future.